If you’re looking to secure a low monthly payment on a Mercedes-Benz C-Class lease, Mercedes-Benz of Modesto can help. From the base trim C 300 Sedan to the Mercedes-Benz C 300 Cabriolet to the high-powered Mercedes-Benz AMG® C 63 model, Mercedes-Benz of Modesto has luxury cars that can meet many drivers’ needs. Explore the available colors on the 2019 Mercedes-Benz C-Class. Then, take advantage of our Mercedes-Benz C-Class lease offers and finance offers. Contact us with questions. Is a Mercedes-Benz C-Class Lease Right for You? Is Financing a Mercedes-Benz C-Class Right for You? Ownership of vehicle. Not only can you call your C-Class your own, but making timely monthly payments allows you to build equity, too. Customization opportunities. On some lease agreements, you cannot modify your vehicle. However, if you own your vehicle, you can modify it as you see fit. 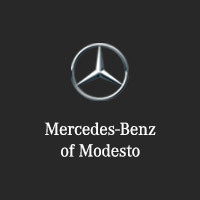 Rely on Mercedes-Benz of Modesto for Mercedes-Benz C-Class Specials! No matter whether you choose financing or leasing, you’re guaranteed a strong customer service experience at Mercedes-Benz of Modesto. Check with our financing department if you have any questions, or contact us online to learn more about Mercedes-Benz leases. If you’ve compared the C-Class and decided it’s the best fit for you, schedule a test drive by completing this secure form. We’ll respond to your message promptly.